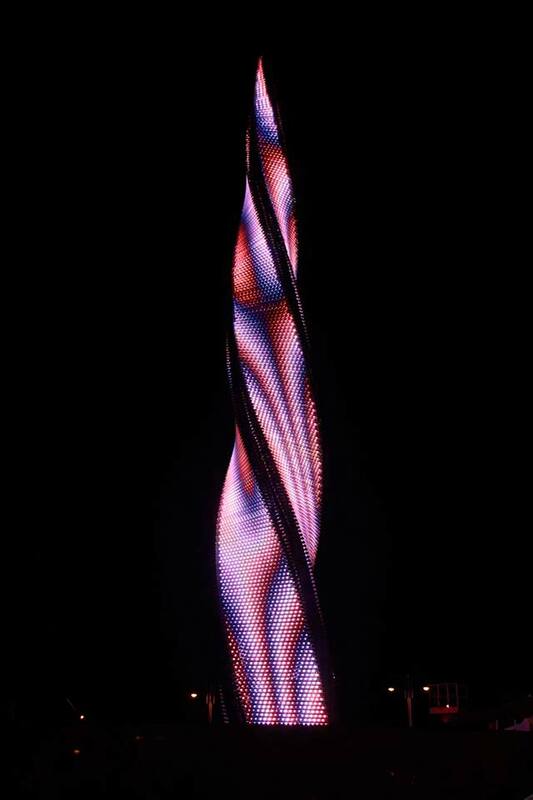 The flame sculpture is the centre piece of a new park situated at the entry to Baku when arriving from the airport. 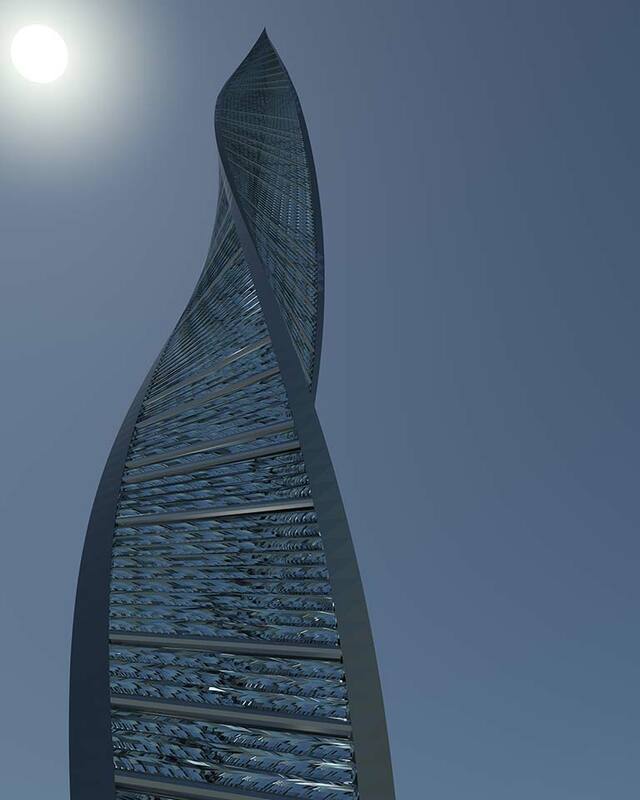 The sculpture was designed and constructed by GLaSS using WSAspinall as subcontractors for the stainless steel framework. 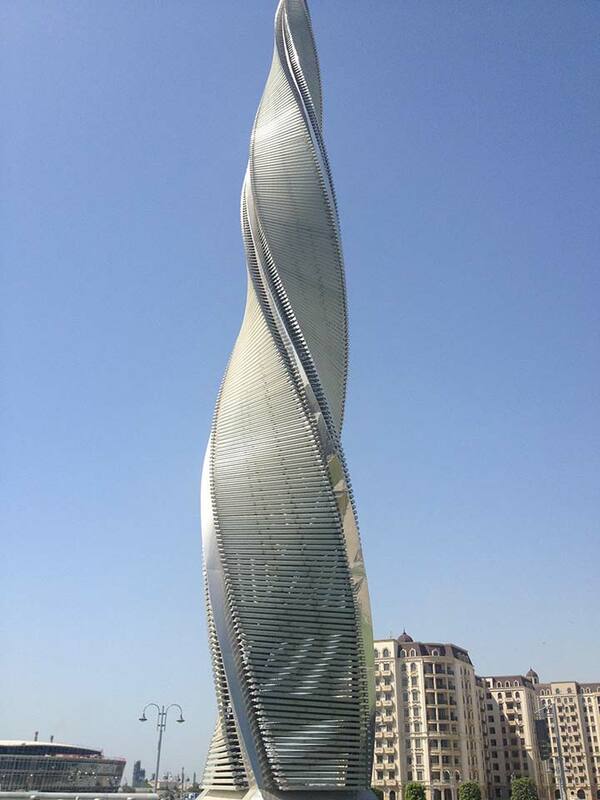 The form of the sculpture is created by 3 tapering spiralling stainless steel legs triangular in section with a maximum side at the base 600mm tapering to 50mm at the apex. 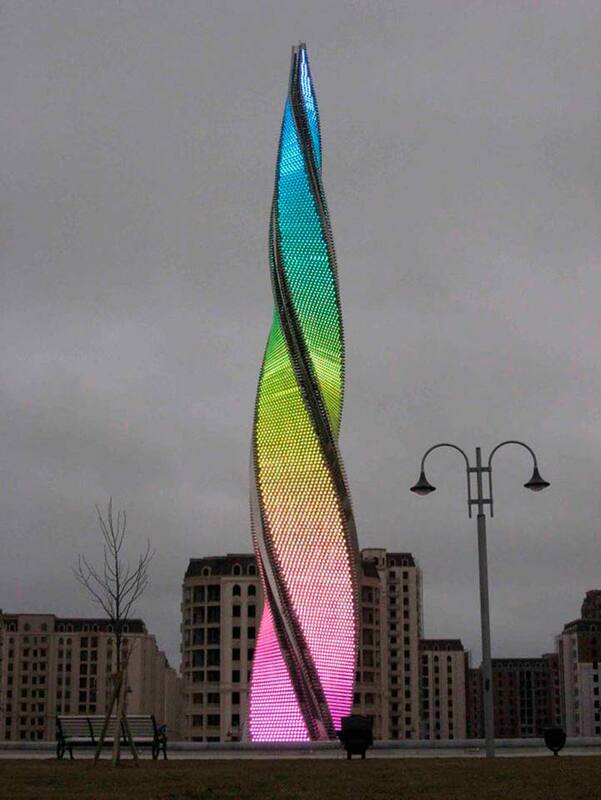 The sculpture is 30 meters high and it is continually clad on all 3 sides with 75 mm diameter solid crystal glass rods spanning to up 4 meters between the legs. 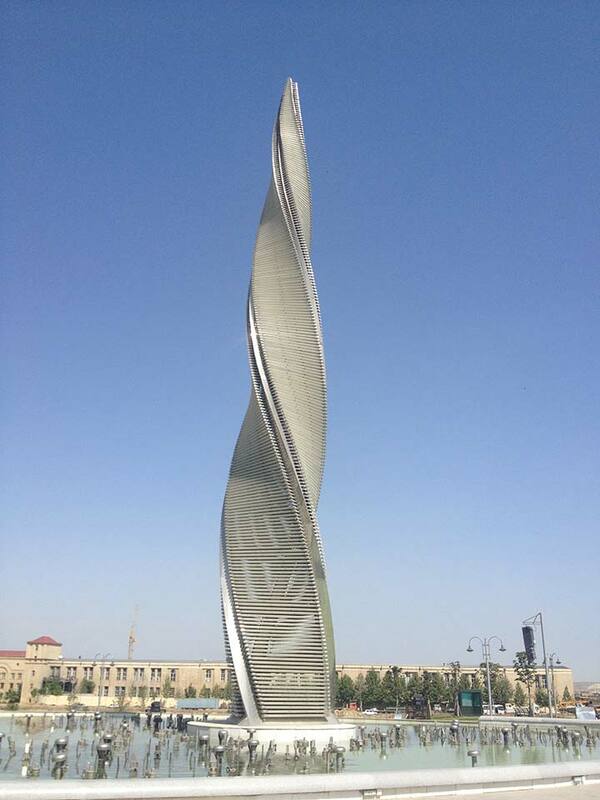 The sculpture was completed in December 2011 in time to celebrate the president of Azerbaijan’s birthday.